An effective Email Marketing Strategy can make all the difference to your business. Email Marketing isn’t dead, despite what some hyperbolic blog posts you may have seen online say. In fact, you are six times more likely to convert an email subscriber than you are a twitter follower. It is one of the most powerful tools available to a business when it comes to engaging with current and potential customers, yet so many businesses handle it wrong. 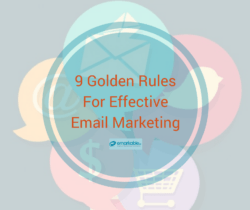 If you want to increase your open rate, improve your click through rate and ultimately generate leads from your email marketing, these 9 Golden Rules must be applied to your strategy. When you’re writing your newsletter, keep a purpose or theme clearly in mind. Don’t pull your reader in too many directions. You want them to respond to one primary call to action, or at least to a secondary call to action, so steer them towards that with everything that is included in your newsletter. Fix your eyes on the goal and resist the temptation to include too much in your email that isn’t relevant to the purpose. Only 39% of online retail businesses try to sell products to their customers via email. The other 61% are likely to have more success from an email campaign. Emails should provide value to their readers – try to simply advertise your product or service to your audience, and they will switch off. Instead, provide valuable information. If you are an IT company, guide your audience on how they can protect their data better. If you are a fashion retailer, provide an editorial on the latest trends. Give your customer what they want before trying to sell what you want them to buy. 90% informative, 10% promotional is the accepted ratio. If you publish awesome content on your blog, which you should, share excerpts in your newsletter. Include links that will allow your readers to directly access the actual blog posts which will in turn boost web visitors as long as they are in keeping with your overall theme. How many email lists are you subscribed to? And how many of those do you actually read? I bet you only read the ones that catch your attention with a noticeable subject line. Subject lines that ask questions or state an offer of value have a 10% higher open rate. Emails with a personalised subject line get 26% more opens. Keep these figures in mind next time you write a newsletter. Going back to the very beginning, it’s now advised that businesses have a “Newsletter Subscription Page” accessible via the home page of a website. Now that Google is clamping down on pop-ups, it’s harder for businesses to generate or increase their subscriber list. Having a page gives you somewhere to direct people to in blog posts, social media engagements and even via email conversation. The key to an effective Digital Marketing Strategy is staying in your current and prospective customer’s eye line. Encourage your subscribers to follow you elsewhere by adding social media buttons to your newsletter. If you go several months without sending out newsletters, your subscribers will forget all about you. Set a publishing schedule and stick to it – most businesses opt for weekly, fortnightly or monthly. Consistency is key in everything in business. If you suddenly stop sending emails your audience will just as suddenly pick up on a rival company’s content. There is no general best time to send an email out to your audience. It’s completely dependent on your subscribers. Everything in email marketing is about testing, not least of all when it comes to the best times to send. Try sending your emails in batches at different times, even different days, for a few weeks, then analyse your insights to see which times generated the most open rates and click through rates. 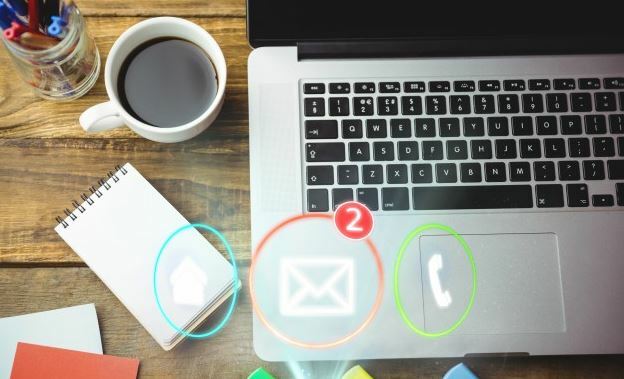 This is the one thing we see every new client failing to do in their own marketing efforts – personalising email content. As mentioned earlier 26% more emails are opened if the email subject line is personalised, but goes beyond that. Personalised emails also statistically increase conversion rates by 10% – and that is the goal. To convert email subscribers into leads or customers, or if they are already customers, repeat customers. If you pay attention to just one of these golden rules, let it be this one. Do you think your Email Marketing is in need of a shake up? Emarkable’s team is on hand to write, design and send email newsletters that have a positive impact. We work a fantastic email system called Sharpspring Mail+. This is in an easy to use, insightful mailing programme that will improve how you communicate with your target market. 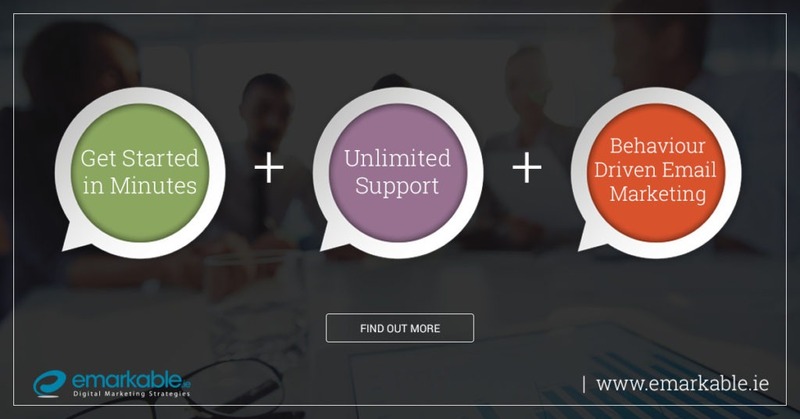 We’re offering an exclusive 15 day trial, for free, so that you can try out this innovative software before migrating over. Click below to find out more. A creative-thinking inbound marketer with a passion for generating strong, tailored online branding for businesses through imaginative, customised content.